Former India captain Mahendra Singh Dhoni spoke to Eden Gardens curator Sujan Mukherjee about the excessive seam movement during their low-scoring encounter in which Jharkhand beat Saurashtra by 42 runs. 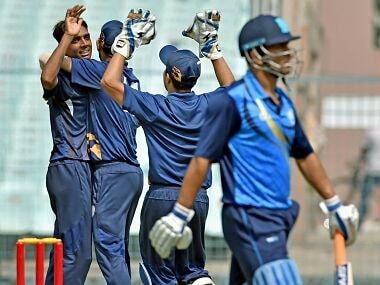 Mahendra Singh Dhoni-led Jharkhand secured a 42-run win over Saurashtra in a low-scoring Group D match of the Vijay Hazare Trophy at the Edens Gardens, which saw 20 wickets fall in less than five hours on Wednesday. 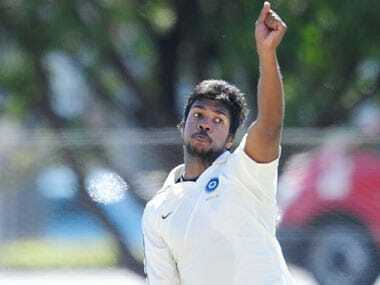 A freak heel injury that was supposed to heal in three and half weeks took three and half months but Varun Aaron is back again, raring to unleash his 140-plus thunderbolts as he gears up for another comeback to the national team. 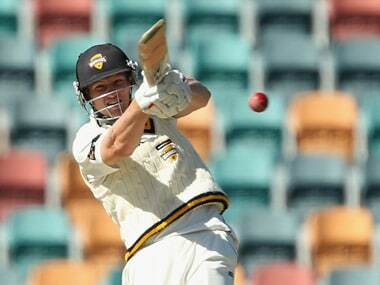 India A bowlers frittered away the advantage with hosts Australia A's middle-order putting up a collective performance to reach 319 for five at stumps. 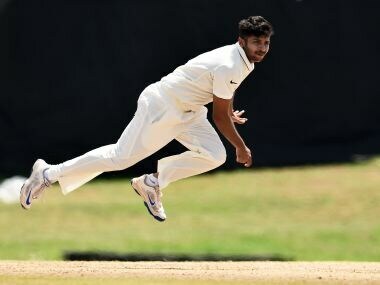 India A bowlers' efforts at making a match of it went in vain as Australia A pulled off a three-wicket win in a tight chase on the final day of the first four-day Quadrangular A series game. 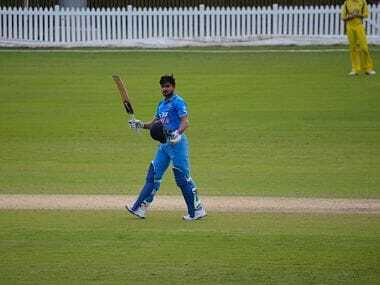 Skipper Manish Pandey's valiant century went in vain as India A lost to Australia A by a solitary run in a high-scoring thriller in the Quadrangular Cricket series but still made it to the summit clash. 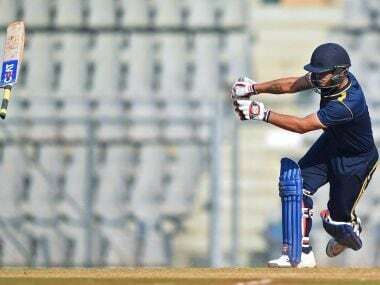 iddle-order batsman Kedar Jadhav powered his way to an unbeaten 83-ball 93 as India A recovered from early blows to cruise past Australia's National Performance Squad by six wickets in the quadraungular 50-over tournament. 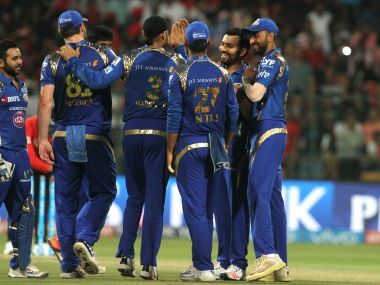 Catch the live updates of the 41st match of IPL 2016 between Royal Challengers Bangalore and Mumbai Indians at Bengaluru on Wednesday.